Home / Our Work / Agua Caliente v. Coachella Valley Water District, et al. NARF’s client, the Agua Caliente Band of Cahuilla Indians and their ancestors have been in Coachella Valley, California, since time immemorial. Deep in Kak wa wit (Tahquitz Canyon) north of Palm Springs, archaeologists have discovered proof of Cahuilla Indian occupation for more than 5,000 years, which echoes the Tribe’s oral history. According to the migration story of the Agua Caliente, Evon ga net (“the Fox”) was a powerful leader who traveled to the Coachella Valley from a nearby valley in the west. As he entered the valley, he recognized and marked it as a new home for his people. Soon thereafter, the leader of the Fox Clan, Ca wis ke on ca, saw the mark of the Fox alongside the oasis of what is now known as Palm Springs and settled his tribe deep in the canyon. For thousands of years, Agua Caliente people have not only lived but thrived in the region. Thriving in the desert takes special knowledge and skills, which the Cahuilla gained over the millennium. Surface waters are often available only seasonally and can be unreliable. The Cahuilla people developed walk-in groundwater wells to provide a water source during times of drought and skillfully used water from nearby streams to irrigate their crops. The rock-lined ditches, dams, and reservoirs that they created remain as reminders of the ancient Cahuilla ways and knowledge. The Cahuilla people have long been the stewards of the surrounding land and waters. 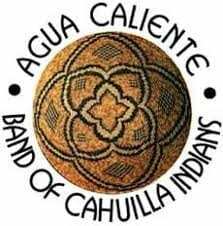 The Cahuilla were keenly aware of the value of water and paid it great respect. The area’s hot springs, originally known as Sec-he (boiling water) and renamed as Agua Caliente (hot water) by Spanish arrivals, provided the Cahuilla people with clean water for drinking and bathing as well as a spiritual connection point to the underworld of the nukatem (ancient spiritual beings) and a place of healing. To this day, the water is life-sustaining and sacred. Today, Palm Springs is world-renowned, and the Agua Caliente share the beautiful Coachella Valley with visitors from around the world who are drawn to the desert oasis. What most visitors don’t realize is that beneath that desert landscape there is an immense reservoir of pristine waters, the Coachella Valley Aquifer. The water in the aquifer is filtered through layers of sand and gravel as snowmelt and rainfall seep back underground to replenish the great resource. This amazing groundwater has provided for the Cahuilla since their long-ago arrival. Not only for their irrigation and drinking, but also for their rich ceremonial and spiritual traditions. The Coachella Valley Aquifer is large; however, even with its remarkable size, the aquifer is not infinite. It is a precious and finite resources that can be adversely impacted by ongoing pollution and depletion. The Agua Caliente understand that and have fought for over two decades to improve management of the resource. With the growing popularity of the Coachella Valley, the aquifer is being overused and abused. Water from the aquifer is being pumped out at an alarming rate to supply the growing demand. The Palm Springs Desert Sun reported a 34-foot drop in the aquifer’s water levels between 1975 and 2015 – the approximate height of a three-story building. In 2010, the Coachella Valley Water District (“CVWD”), one of the two water agencies serving the area, and one of the largest pumpers of groundwater in the Coachella Valley, estimated the cumulative overdraft of the aquifer over the years at over 5.5 million acre-feet and an average continuing annual overdraft of approximately 239,000 acre-feet per year. Besides the threat of depletion, this type of overdrafting can cause “ground subsidence” in which the pore space in the aquifer collapses and the surface above sinks. Studies indicate that areas in the southern Coachella Valley already are subsiding. In an attempt to offset the unsustainable overdrafting of the aquifer, local water agencies began importing water from the Colorado River and artificially recharging or replenishing the water in the aquifer. This may have slowed the overdrafting of the aquifer, but it introduced an entirely new problem – declining groundwater quality. The Colorado River water has high levels of total dissolved solids and other nutrients from upriver municipal, mining, and agricultural runoff, and it is not treated before it is used for recharge. 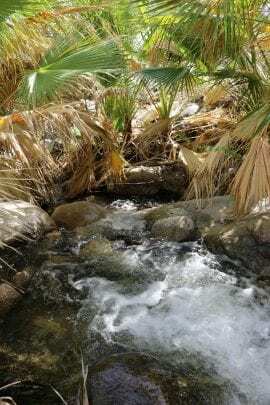 From the recharge site in the Upper Valley, the lower-quality water flows down directly toward the Agua Caliente Reservation, directly impacting the quality of water underlying the Tribe’s lands. For decades, the Tribe has advocated for reducing the over-pumping and protecting the aquifer. The Tribe well understands the essential nature of the aquifer for sustaining today’s needs as well as those of future generations. The Agua Caliente repeatedly called on the local water agencies to make the protection of the aquifer a priority. The continuing mismanagement of the area’s water resources finally led the Tribe to bring suit against the two main water agencies that serve the area. On May 14, 2013, on behalf of the Agua Caliente Band of Cahuilla Indians, NARF and co-counsel filed suit against CVWD and Desert Water Agency (DWA) and their respective individual board members, in the federal district court for the Central District of California in Riverside, California. The relief requested by the Tribe in its complaint is a declaration of the Tribe’s reserved and aboriginal water rights to groundwater to satisfy the present and future needs of the Tribe and its members, as well as to protect the Tribe’s water rights from further damage by the water agencies’ overdraft and artificial recharge of the Coachella Valley groundwater aquifer with untreated, lower-quality imported Colorado River water. The defendant water agencies answered the complaint, denying that the Tribe has reserved or aboriginal rights to water, as well as asserting other defenses. The case was assigned to Judge Jesus Bernal, a federal judge in the Eastern Division of the Central District. Early in the case, the Tribe and the water agencies agreed to divide the litigation into three phases – the first phase would address whether the Tribe has a reserved right to groundwater and whether the Tribe has an aboriginal right to groundwater. The second phase encompasses whether the Tribe owns the pore space below its reservation, which is impacted by the artificial recharge of imported groundwater, whether the Tribe is entitled to fulfillment of its groundwater rights with water of a certain quality, what standard will be used to quantify the Tribe’s rights, and whether several of the equitable defenses asserted by the water agencies apply to this type of claim. The third phase encompasses the actual quantification of the Tribe’s groundwater rights and pore space, and possibly determining the standard for the quality of water required to fulfill the Tribe’s water right. In May 2014, the United States intervened on behalf of the Tribe, supporting the Tribe’s claim for a reserved right to groundwater. Motions for summary judgment were filed by all parties on October 21, 2014, with respect to the phase one issues. The Tribe and the United States both argued that federal law controls the issues of the case and that federal law provides that the Tribe has a reserved right to enough water from any available source to fulfill its present and future needs. The water agencies argued that California state law should apply and that the Tribe and the United States should be limited to the same water rights as other landowners in the Coachella Valley, contrary to a line of cases recognizing that federally reserved water rights of Indian tribes are prior and paramount to state-law based rights and apply to groundwater resources underlying reservation lands. Oral arguments were held on March 16, 2015, and Judge Bernal issued his order on March 20, 2015. In this ruling, the Tribe’s reserved right to water was recognized and the court ruled in the Tribe’s favor that a tribal reserved right can be fulfilled by groundwater. Although many courts, both federal and state, have recognized that federally reserved water rights apply to groundwater as well as to surface water, this was a significant opinion as it clearly and decisively applied the doctrine of U.S. v. Winters, an early case establishing the reserved water rights of Indian tribes, to groundwater. The court declined to find that the Tribe retained an aboriginal right to groundwater, ruling that previous case law limiting the rights of all California tribes applied to this case as well, and that the Tribe’s aboriginal rights were extinguished by specific federal acts pertaining to the establishment of the State of California. However, the more significant ruling that the Tribe’s reserved water rights apply to groundwater was a victory for Agua Caliente. Following the District Court’s ruling in favor of the Tribe’s reserved right to groundwater, the water agencies petitioned for interlocutory review on that sole issue by the federal Ninth Circuit Court of Appeals. On October 18, 2016, a three-judge panel of the Ninth Circuit heard oral arguments. The Ninth Circuit Court of Appeals issued a unanimous opinion on March 7, 2017. It affirmed Judge Bernal’s 2015 ruling, holding that the Winters doctrine applies, and that the Tribe “has a reserved right to groundwater underlying its reservation as a result of the purpose for which the reservation was established.” The Court also broadly construed the original purposes for the creation of the reservation. The ruling is a significant victory for the Tribe and the Coachella Valley. The defendant water districts petitioned the U.S. Supreme Court for a writ of certiorari, which was denied on November 27, 2017. This denial of the water agencies’ appeals means that the Tribe’s right to groundwater is firmly shielded. However, the case is far from over. With this “phase one” part of the trial put to rest, the Tribe, the United States, and the water agencies are addressing what are called the “phase two” legal issues. Phase two will deal with the correct method for quantifying the Tribe’s share, whether there is a right to water of a certain quality, and whether the Tribe owns the groundwater storage space under its reservation. The Court of Appeals has offered the services of Senior Judge Leavy, a mediation judge, and the parties have begun meetings with him for exploratory settlement purposes. The outcome will guide the “phase three” legal issues of the case which include quantification. NARF will continue to fight to ensure that the Tribe’s water rights are properly acknowledged and honored. Groundwater will continue to be an increasingly important resource for Indian tribes, especially in the arid western states. The combination of growing populations in the West coupled with the effects of climate change producing shrinking water supplies mean an even more uncertain water supply picture for tribes. Tribes’ ability to ensure the availability of enough clean water and to plan a responsible water future for themselves and future generations will continue to be a fundamental challenge for decades to come. The ability of tribal governments to work collaboratively as partners with decision makers in neighboring communities will be vital to effective planning and the efficient use of everyone’s resources. This will only be possible when the existence of tribal rights are recognized and respected by surrounding communities.